This offer also includes a 5-night stay at a select Disney Moderate, Deluxe or Deluxe Villa Resort hotel, plus 4-day theme park tickets with a Park Hopper Option. Starting at $139 per person, per night, a family of four can stay in a standard room at Disney’s Coronado Springs Resort for a total package price of $2,775. View sample rates based on a 5-night stay in a standard room or studio with 4-day Magic Your Way tickets with a Park Hopper Option for a family of four—2 adults, 1 junior (ages 10 to 17) and 1 child (ages 3 to 9)—within the chart below. Priced based on 2 adults, 1 junior (ages 10 to 17) and 1 child (ages 3 to 9). The number of rooms allocated to this offer is limited. The number of packages available for purchase is limited. Valid theme park admission required to attend theme park events included with this offer. Theme park tickets with Park Hopper Option must be used within 14 days of first use. First use must be by December 31, 2018. 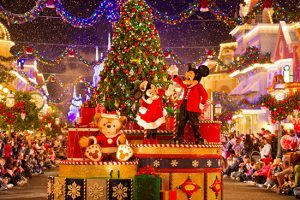 Tickets to Mickey’s Very Merry Christmas Party on December 21, 2017 are included with this Ultimate Disney Christmas Package offer. See all the exciting experiences at all 4 parks when you book this offer! An All-New Land and Evening Show at Disney’s Animal Kingdom Theme Park − Immerse yourself in the magic of nature like never before at Pandora – The World of Avatar. Visit this sprawling destination to embark on innovative expeditions and enjoy themed dining and shopping opportunities. And at night, treat your senses to Rivers of Light―an incredible fusion of water, sound and light! 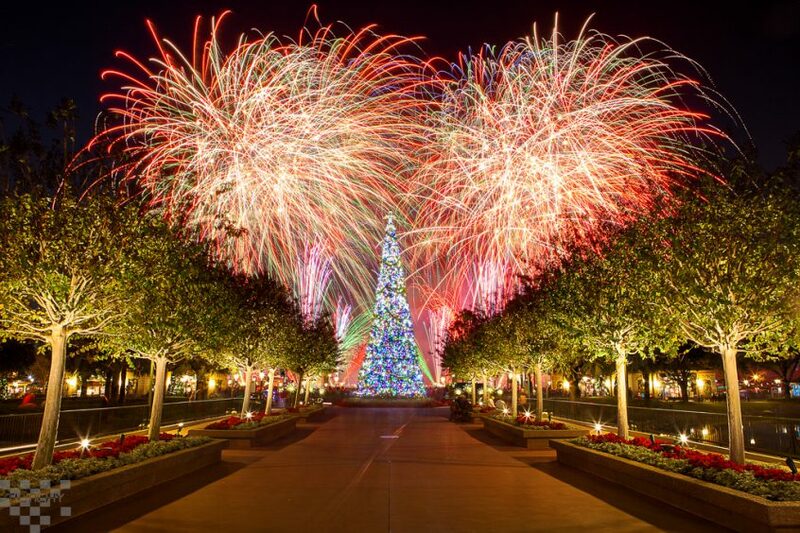 Dazzling New Show at Magic Kingdom Park − Catch the stunning Happily Ever After, our newest and most spectacular fireworks display to take to the sky in the park’s history. Plus, get your fill of thrills when you ride classic attractions like Splash Mountain, Big Thunder Mountain Railroad and Space Mountain. Enchanting Escapades at Epcot − Board an ancient Norwegian vessel and be whisked away to the kingdom of Arendelle during a Frozen Ever After adventure. Then, stop by the Royal Sommerhus to meet Anna and Elsa—and maybe even sneak in a warm hug. Craving an airborne adventure? Take flight on the re-imagined Soarin’ and feel as though you’re gliding above some of the earth’s most breathtaking landmarks and landscapes. Epic Entertainment at Disney’s Hollywood Studios − Catch stellar fireworks shows like Star Wars: A Galactic Spectacular, a laser and special effects show set to an iconic musical score and have a blast playing virtual games on Toy Story Mania! Serious Shopping, One-of-a-Kind Eateries and World-Class Acts at Disney Springs − Discover a waterfront destination brimming with more than 150 places to shop, dine and be entertained—including brand name stores, Disney-themed boutiques and restaurants with rooftop lounges. There are also plenty of opportunities for you to take in live performances, specialty acts and more. 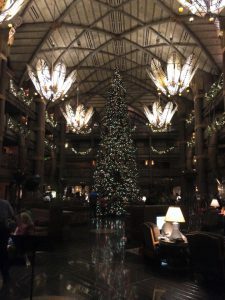 Ever wonder why so many people stay at a Disney Resort? With this offer, enjoy distinctive Disney Resort hotel Guest benefits and amenities. These magical touches have been designed to provide you with the most time-saving, convenient and entertaining vacation possible. •Early Access to Disney FastPass+ planning – Get first access to reserve some Disney FastPass+ attractions, shows and more—up to 60 days before you arrive! Plus, receive complimentary MagicBands and much more. •Extra Magic Hours – Each day, one of the parks offers extended hours, so you can enjoy select attractions (valid theme park admission and MagicBand or Key to the World Card required). •Complimentary Resort Transportation and Parking– Motor coaches, ferryboats and our world-famous monorail make getting around Walt Disney World Resort convenient! Plus, enjoy complimentary standard parking at all theme parks and Resort hotels! You also receive complimentary motor coach transportation between Orlando International Airport and your Disney Resort hotel via Disney’s Magical Express service. •Entertaining Amenities – Themed pools with slides, poolside games and outdoor Disney movie screenings are just a few of the fun activities that are available at select Disney Resort hotels.